Business travel seems exciting, luxurious and inspiring, until you actually have to live it. At Carlton Court, we understand that business travellers practically live out of their suitcases and the impersonal living at hotels quickly take its toll. However, with our elegantly furnished apartments, business travel no longer need to be the necessary evil of your job. Our team strives hard to make sure that you get a home-away-from-home feeling and start looking forward to your business trips. Seasoned business travellers will not be a stranger to the laptop propped on their knees on a bed or paperwork spread out everywhere. The desks in hotel rooms are more like a dressing table and they really do not offer you the space that you need to work comfortably. Moreover, there is no demarcated space for working, sleeping, relaxing and eating. All that changes when you choose to live with us. Our commodious apartments come with a separate space for sleeping, living, dining and working. When on an extended business trip, it is quite normal to feel super frustrated as you are literally breathing and living work. In a hotel room, there is not much that you can do about it. But, in Carlton Court’s apartments, you can relax on the sofa watching TV or use our high-speed Internet to connect with your family, via video call and so on. Our apartments in central London are also equipped with music system so that you can listen to soothing music and make work seem less of a chore. 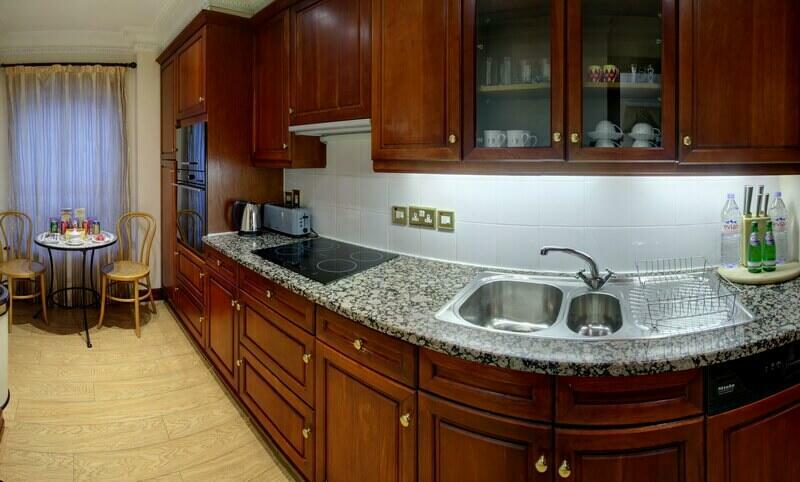 Our serviced apartments feature fully-integrated kitchen where you can cook your own meal. Moreover, there are numerous delivered food options that you can opt for. You can also avail our 24/7 concierge services to make reservations at your favourite London restaurant and so on. Live in Carlton Court to make your business travel seem more like a holiday.